How to represent and promote a stateless nation internationally? In their recent case study on Catalonia published in the Journal of Place Branding and Public Diplomacy, Jordi de San Eugenio Vela and Jordi Xifra take a close look at the nation branding and public diplomacy strategy of the independence-seeking autonomous region of Catalonia (Spain). We invited the authors to share their key research findings and to reflect on how things have changed since. The cultural diplomacy strategy developed by Catalonia and implemented through its pioneering 2010–2015 Foreign Action Plan. Which are your main research findings from the case study on Catalonia’s cultural diplomacy? We tried to demonstrate that the cultural diplomacy strategy proposed by Catalonia transcends the traditional concept of diplomacy to formulate a new strategy of projecting its image domestically and internationally. The latter is based on value added by universally renowned and appreciated contemporary Catalan creators, who are used to define a solid culture industry. Basically, we wanted to show the strategy used by stateless nations to develop their public diplomacy. Catalonia as case study was ideal in that it allowed us to demonstrate the existence of important alternatives to traditional diplomacy, in order to project a positive image of places through cultural values. Our paper establishes a direct relationship between cultural diplomacy, nation building and nation branding. 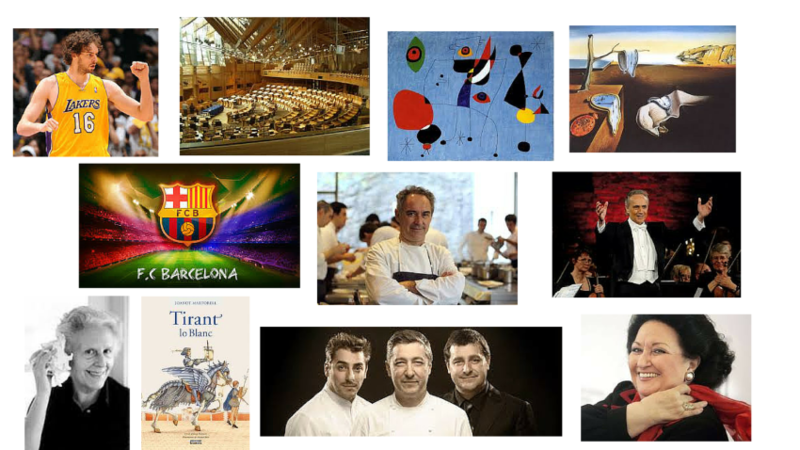 The research demonstrates a need to project a unique image through a brand that, at this time, does not exist (the Catalonia brand). the culture industry itself, particularly in relation to publishing and audiovisual production, as well as music and contemporary art events, among others. We identified culture as a key value to project the identity of Catalonia around the world. (How) has Catalonia’s public diplomacy strategy changed since your research? Catalonia (and Spain) is experiencing an important political transformation. In Spain, a strong citizen mobilization is emerging around the creation of new political parties like Podemos, which a priori requires a different way of managing public affairs. This new political landscape has (slightly) modified the scenario discussed in the article. Perhaps we are facing a paradigm shift beyond a change in political ideas. It seems clear that the classic material and ideological structures believed to be infallible are breaking up. Many people have lost faith in the system and, consequently, its pillars have lost the status of dogma. Something is happening, something is moving on a cultural, social, political, geopolitical and even ethical level. We are facing a paradigm shift led by a civil society that understands political action differently. Furthermore, public diplomacy and, more specifically, citizen diplomacy, seems to anticipate the end of the monopoly exercised by the established powers with regard to decision-making on public affairs. There is a sense of the arrival of a new global geopolitics, capitalized by the management of territories’ social capital, represented by the formation of a new paradigm that involves civil society in state affairs. The Catalan government has recently reinforced its Public Diplomacy Council and promotes Catalonia’s Foreign Action law, among other strategies. Would you consider Catalonia’s 2010-2015 Foreign Action Plan and (cultural) diplomacy strategy a success? Such strategies require a lot of time to consolidate. We certainly consider Catalonia’s 2010-2015 “Foreign Action Plan” a key document and valuable starting point to develop a public (cultural) diplomacy strategy in Catalonia. It was the first strategic and coordinated approach to organize the foreign action of Catalonia. This initial document needs to be adapted and reinvented continuously, because the social sphere (and now, the political scenario) is changing quickly. There is growing interest in the strategies of stateless nations (or regions) to develop their foreign action as ‘new’ international actors. Public diplomacy and nation/regional branding exercise a critical role in offering non-state actors an important chance to project their identity and image and, finally, to obtain international recognition. Want to explore further? Access the full article here. is a professor at the University of Vic-Central University of Catalonia and Vice-Dean of the Faculty of Business and Communication. 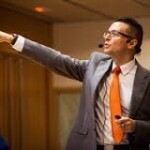 Jordi received his PhD in place branding from Pompeu Fabra University, holds an MA in Environment Management from the University of Girona, a BA in Journalism from Pompeu Fabra University and a BA in Geography from University of Girona. His research interests include place branding, public diplomacy, environmental communication and humanistic geography. More in our interview with Jordi de San Eugenio Vela. is a professor at Pompeu Fabra University in Barcelona, where he directs the Master of Science in Strategic Communication and Public Relations, a degree jointly awarded with the University of Stirling (Scotland). His research focuses on the history of public relations, public relations sociology, public affairs and public diplomacy. 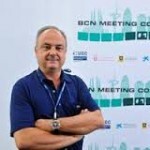 Jordi has published over 15 books and many articles on public relations and public affairs in Spain and South America. He is the founder of AIRRPP, the Spanish Public Research Association, and co-editor of academic journal Public Relations Inquiry (Sage). More in our interview with Jordi Xifra. Place Branding and Public Diplomacy is the first and only journal to concentrate on the practice of applying brand strategy and other marketing techniques and disciplines to the economic, social, political and cultural development of cities, regions and countries. The Place Brand Observer has teamed up with the journal’s publishers, Springer and Palgrave Macmillan, to share with you key research insights and findings. Learn more about the journal or read the stories of the journal’s editors, Robert Govers and Nick Cull. Enjoyed this case study and research insight on how to brand a stateless nation – example Catalonia? Spread the word!